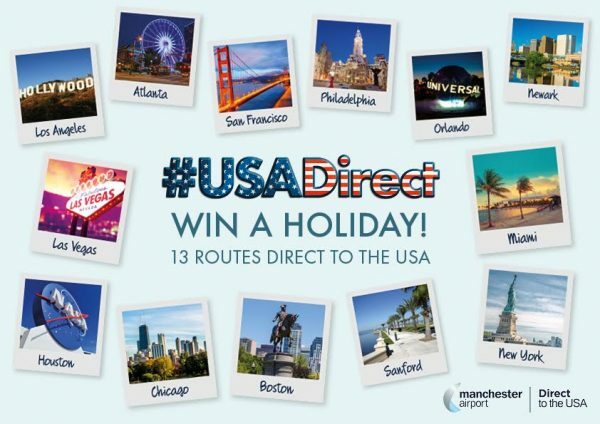 Manchester Airport has launched a new campaign to showcase the breadth of destinations it offers to the United States. Dedicated print and radio ad campaigns will go live during the eight-month #USADirect campaign in Liverpool, Leeds, Birmingham and Newcastle. These will be integrated with an aligned social media campaign and experiential events. The airport says the campaign will highlight all of its 13 American destinations and will reach in excess of 10 million people. The campaign creative, which is underpinned by a competition, has been created internally, with media handled by Carat. A wealth of USA destinations have launched in the last few years from Manchester including Miami, Los Angeles, Atlanta and Boston. This year also sees two carriers launch San Francisco. Outside of London, Manchester is the only airport in the UK to offer these routes.